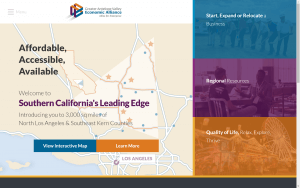 Also known as Southern California’s Leading Edge (hence socalleadingedge.org domain), this dedicated group of municipal economic development directors have come together for the benefit of regional development. “A rising tide raises all boats,” is a fitting sentiment for what’s being done at the core of this organization. There is a lot to be excited about in the Antelope Valley region of Southern California. 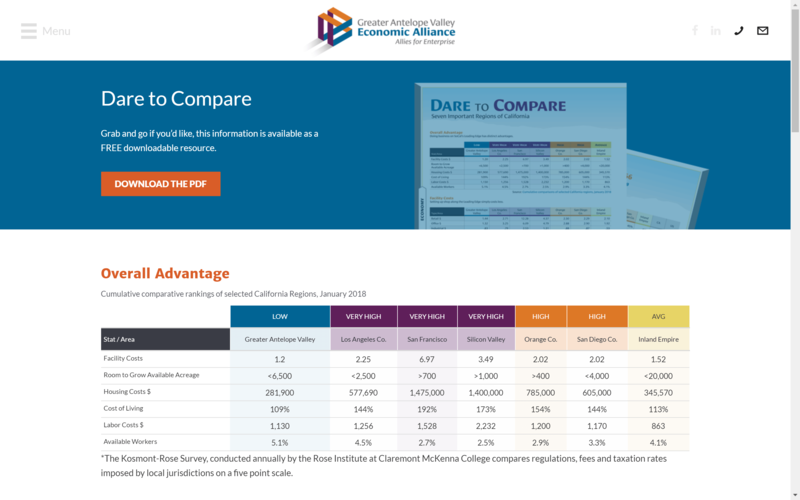 When compared to other regions of CA in categories like Facility Cost, Room to Grow, Housing Cost, Cost of Living, Labor Cost, Available Workers, etc… the gem of a region just north of Los Angeles is head and shoulders more attractive across the board. Paired with wonderful Economic Development professionals throughout the region, it’s no wonder why businesses are relocating there. The biggest pain point was owning everything, domain, hosting, content, etc. Previous partnerships and consultant agreements placed too much control outside the organization. It was priority #1 to bring all of that in-house. Limited budgets & time, much of the site would need to be set and allowed to stand on it’s own for awhile. Over a year of limited visual updates, the slider in version 1.0 took up too much homepage real estate and was getting stale. 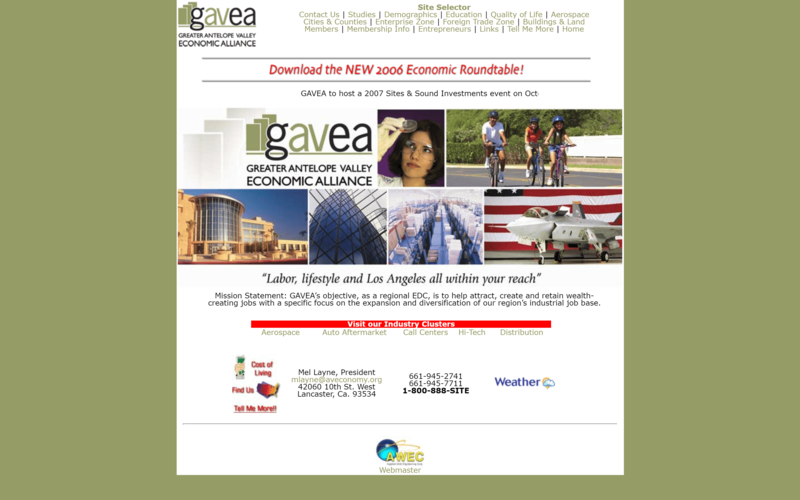 Once a year GAVEA releases and promotes the ‘Round Table Report’ which serves as a regional guide to demographics and industry growth. This one report accounted for the single largest reason people were visiting the website and in the former version it was pretty buried & hard to find. Map. 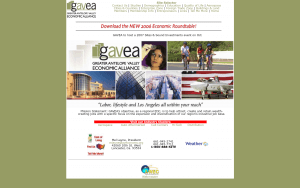 Second only to the Round Table Report, visitors want to better understand the region geographically. In version one the map was understated to meet this demand appropriately. Visually version 2 started to feel out of touch with the more modern websites in the industry, so to be more competitive and interesting something needed to be done. Behind the scenes, the editing tools were good but could be better. In version 2 everything happened on a generic drag and drop templating grid with modules. 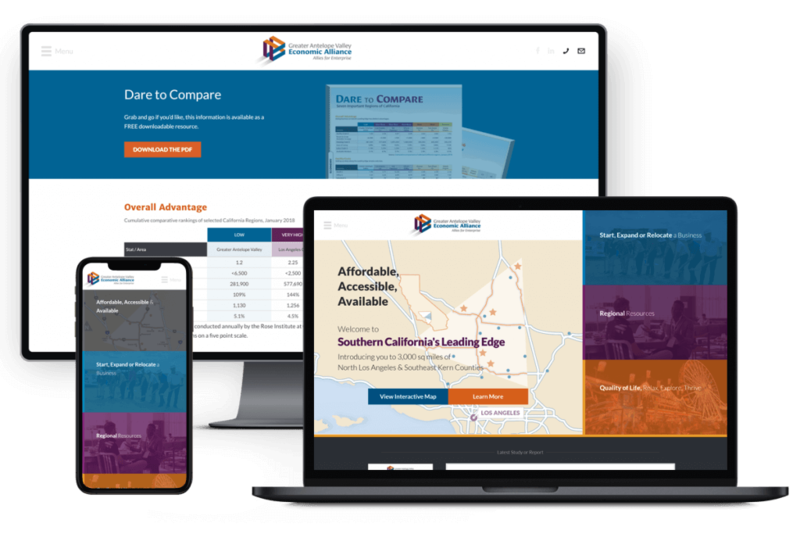 Certainly a helpful set of tools when compared to standard websites, but Pixsym had an opportunity to upgrade it further. In the process, it would also boost overall editing speed and site performance. 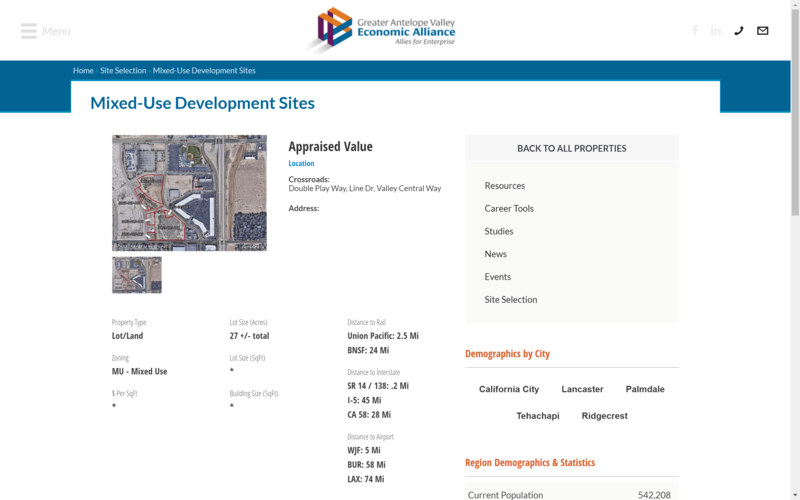 The site selection area of version 2 wasn’t elegant, didn’t inspire activity or interaction. The data itself is fairly limited and only a certain specific type of user cares, but, that very specific user type is why GAVEA exists. So an upgrade of this area was necessary. 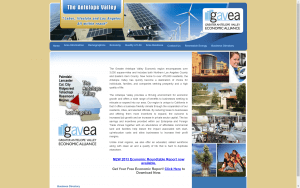 We helped the Board of Directors and Staff at GAVEA secure a marketable domain (socalleadingedge.org) for branding purposes and protect both it and their historic domain (aveconomy.org). Getting the new site on a hosting account they had full control over was an obvious next step and a fairly easy one to implement. 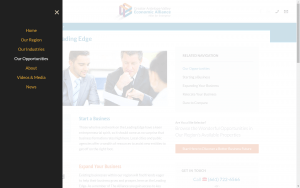 Now no consultant could hold their website hostage. 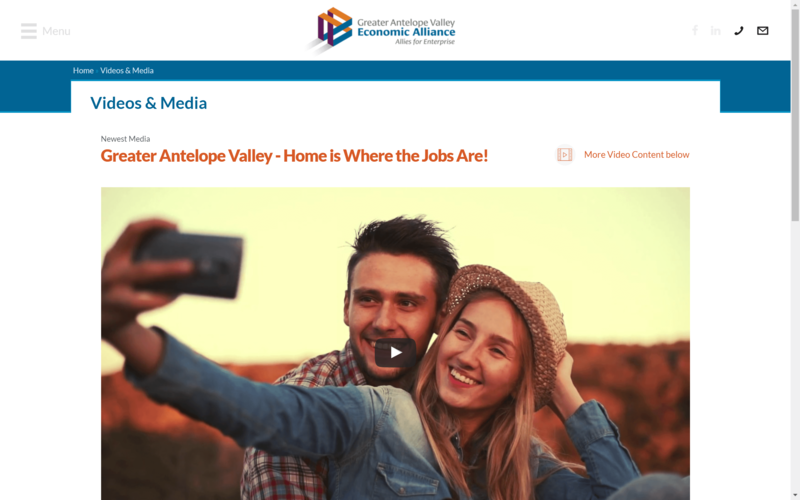 To address the potential for a good number of pages feeling dated over time, we implemented a blogging platform (Wordpress) that could be used to share/author important press releases and event promotion for things happening in the region. The slider took up far too much space and slides 2 & 3 almost never got attention. 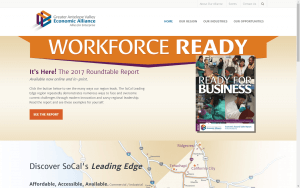 So we replaced it with a call to action for the Round Table Report download. Significant improvement on a number of key metrics, a drop in bounce rate, an increase in page views per session and time on site. 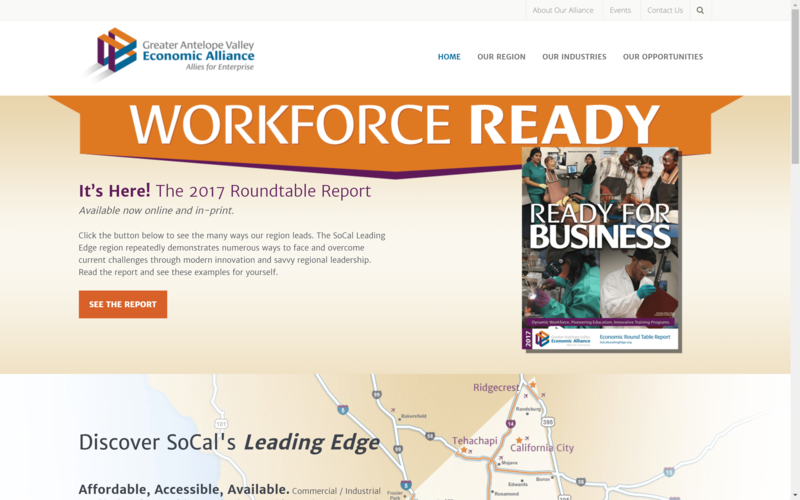 Also a pleasant surprise was the increased referrals for the Round Table Report from around the web. Incoming links for that content saw an 8x growth. With the slider gone and Round Table Report front and center taking the hero spot, we decided to make the map more prominent directly below. It was important to give visitors a better idea proximity to Los Angeles as they dug into the site content, homepage placement certainly helped get that process started. 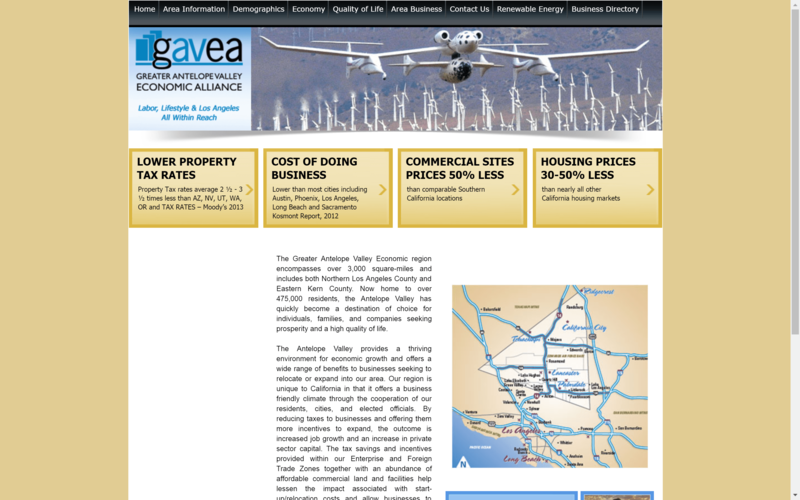 This was a visual UI & UX, front and back-end overhaul. The site is more modern in every way. 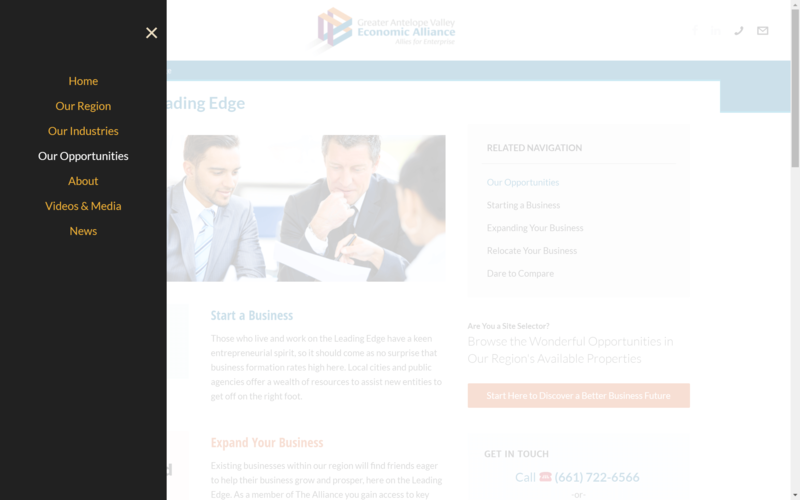 A modern navigation slide out panel, more on-page navigation modules that bring visitors deeper into the content sooner. Clever use of animation and transitions in text, page load and hover states. From top-to-bottom version 3.0 executed the brand colors and messaging to the forefront. Instead of having a back-end generic edit mode, we brought all the editing to the front-end. As long as the editor is logged in, they can navigate to any page as a normal user would but have new edit options all within reach. Paired with a strong, integrated preset and templating engine, the tools help make almost anything possible. The site selection area of version 3 is an entire re-write. Instead of depending on a free real estate plugin available on the Wordpress repository, we went our own direction. 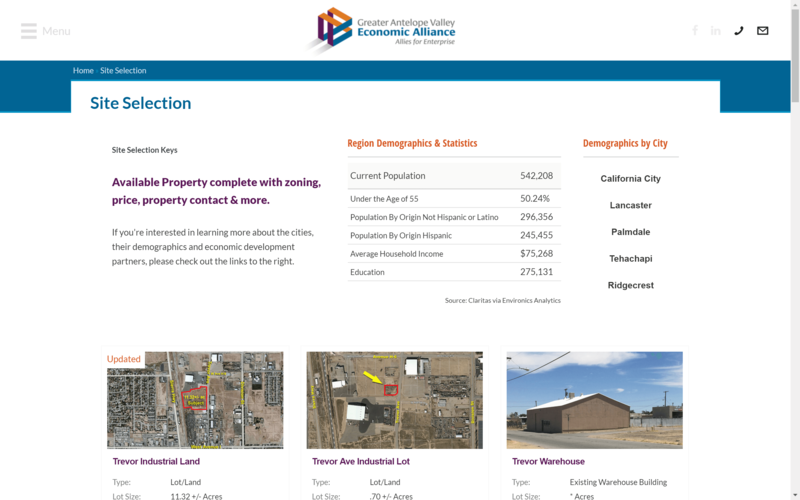 We wrote a custom post type and templated the various views and taxonomies. We then built an online form for submitting new properties or changes, accessible to the participating brokers being featured on the website as part of their partnership with GAVEA. Much cleaner environment & more adaptable in the future as more budget is dedicated to that site feature. 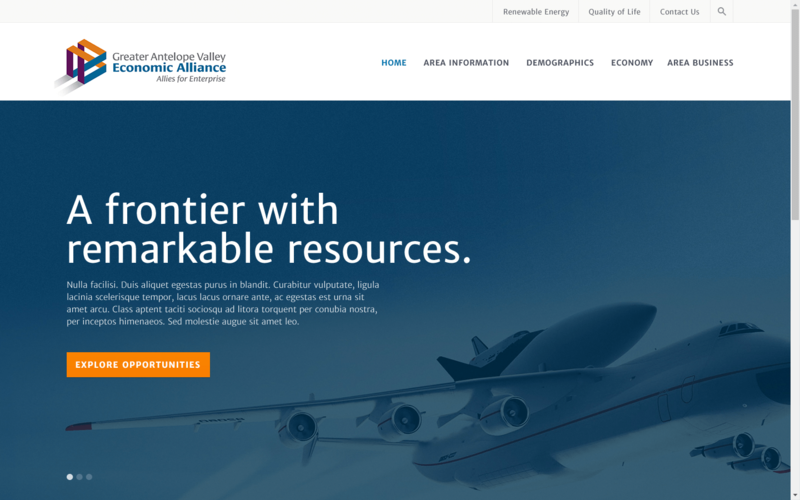 1999 – Early 2013 – The website for Greater Antelope Valley Economic Alliance (found at aveconomy.org at the time) went through a number of iterations. 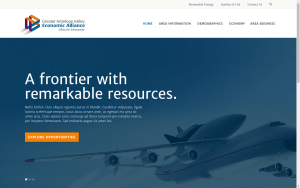 Small sprints of updates and design changes in an attempt to better communicate purpose and regional support. If you remember 1999 websites, Pre-Y2k scare, transparent spacer gifs and table based layouts, you can imagine what things looked like. Fast forward to Summer 2013 – The administrative staff were in a bit of a information/intellectual property tug-o-war with a former consultant. Pixsym was contacted as a referral to see if we could mediate and help GAVEA retain as much as possible of what was theirs, knowing they’d get very little assistance from their former consultant. Part of the problem was, his entire operation was in an old Macromedia version of Cold Fusion AND very limited access was given to the various databases he warehoused the contact data in. 3 different databases, about a month of back and forth, and an obstacle course of steps rebuilding from old database archives, we were able to get contact lists to a rough estimate of 90%. 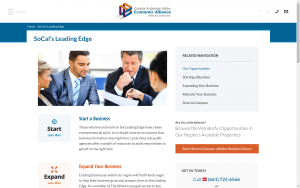 Late 2013, Early 2014 – After being Johnny on the spot and getting the most crucial of data from the ‘business directory’ databases, we started redesign discussions for what the website could be in the short-term and also some brainstorming for the dream website of the future.